Now I'm in Bend, Oregon. There is public radio here and some other community stations, but I still can't believe I was actually listening to Rush Limbaugh instead. Then, after Rush, along came a talk host warning about the evils of "sustainable development." It's big government telling people to walk, bike or take the bus, forcing mixed income housing on neighborhoods, telling people they shouldn't live in big houses on several acre lots. Sustainable development; the next boogieman. After that, another host was mad at the Republican party for abandoning the congressman who said that controversial stuff about women. Since that congressman did retract his comment, the host says the Republican party should not abandoned him. Interesting to hear thinking from the "other" side. Now I should tune back to my NPR bubble as I ride through the dry smoky (from forest fires) country around Bend. 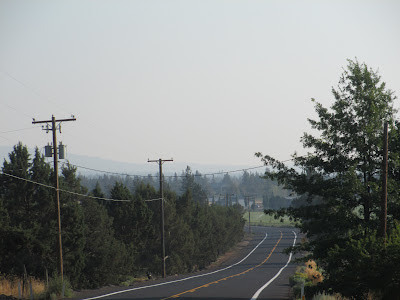 Fire near Madras, Oregon filled the air today as I headed toward Bend. 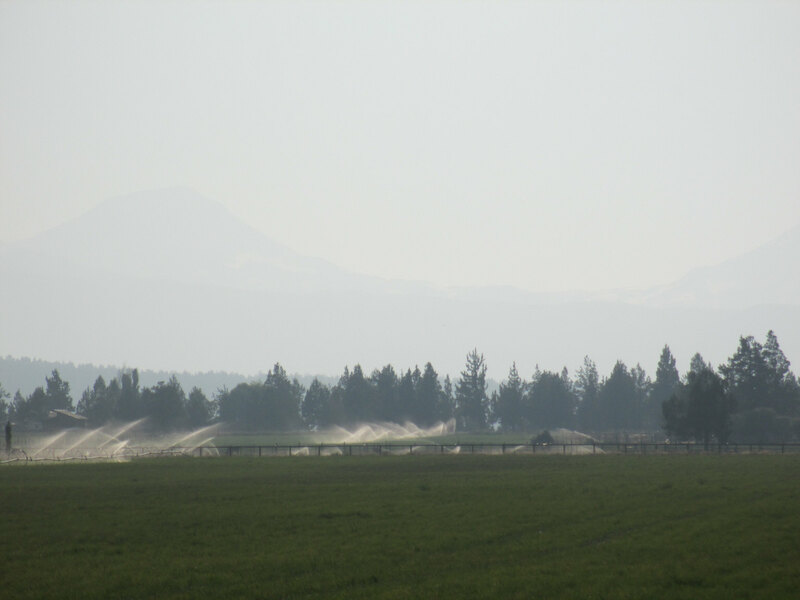 Sisters mountains barely visible in the haze. Scene along the road. Next day, the air was much clearer as a wind picked up.